When you have small children, the most important thing that you can do when going through a divorce is remain on amicable terms. Even if you had a contentious divorce and you do not like your ex-spouse, you have to pretend to, for the kids’ sake. Co-parenting may seem daunting, but even though you may not want to interact with your ex, it can actually make life easier for everyone. 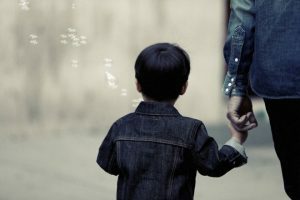 Putting aside your personal issues with your ex in order to co-parent will result in kids who grow up to be more emotionally stable and who are less likely to exhibit depression or anxiety. While this may still be difficult for your kids, maintaining an amicable co-parenting relationship with your ex, despite your feelings to the contrary, will ensure that your kids lead healthy and full lives. Happy and healthy marriages don’t end in divorce, so there’s definitely some emotional strain when it comes to co-parenting that you won’t be able to avoid. The key is to view it as a new relationship. Let go of your relationship as a married couple, and imagine the co-parenting relationship as a completely new and separate thing. Keep similar rules between your households so the kids know exactly what to expect no matter who they are with. Develop healthy problem solving skills when it comes to dealings with your ex so that you can model healthy relationship behavior for your children. Your kids needs should be put ahead of your own, so forming a healthy co-parenting relationship with your ex-spouse is essential for their mental health. If you need to make adjustments to time sharing, child support, or alimony, contact our experienced family attorney in Tampa. This entry was posted in Blog, Divorce, Uncategorized on August 7, 2017 by HV SEO.